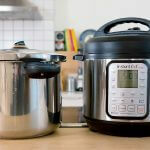 Are you new to Instant Pot? Yes, then this article will be a smart guide to use the Instapot! Instant Pot has endless benefits when it comes to cooking. The diversity of its features and functionality makes it important and popular among other cooking utensils. 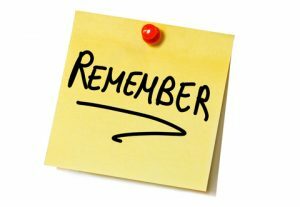 But if you are a newbie to it, then opening or closing the lid might be a bit difficult for you. On the other hand, if you are new to Instant Pot then you just need the right guideline to give a quick start in the kitchen. How to Clean instapot ? In addition, it works as multi-purpose cooking as it features multiple functions like boiling, pressure cooker, steam, yogurt maker and many more. Get some idea about Electric Pressure cooker! There is no need to overwhelm your self with the word “pressure cooker”. The new electric pressure cookers have changed the history as they are safest and simple to use. They make the food faster and hotter in a sealed electric pot. Moreover, the Electric Instant Pots have been designed with all the safety measures to prevents mishaps. The heating and pressure sensors, lid detection, and automatic pressure control like features work together to provide you best results in short time. 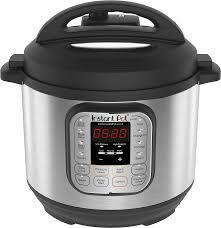 Following is the step by step guideline to use an Instant Pot. So, follow these steps and you will be the star of your kitchen. First of all, break down the most important and basic parts of an Instapot along with the particular details of the Crockpot Express, Ninja Foodi, and Power Pressure Cooker XL. The front of the Instapot is filled with various buttons denoting different programs. Generally, each button has its own cooking time and pressure setting to make this machine more user-friendly which can be a bit complicated for you in the start. There is a pressure setting column as high, low, and normal. So, you have to choose the cooking method on the basis of your food nature. Once your food is cooked then it is very important to choose the pressure release method. There are two methods one is Quick pressure release and the other is natural pressure release. The method you have to select depends upon the food you are going to cook. The dishes with more liquid and foamy food needs the natural release method while the feed that does not need to be overcooked requires the quick release method that is done by turning the steam release valve to “Venting” position. One thing very important that you must keep in your mind is to wait until or unless all the steam has been released from the pressure cooker before opening the lid of the Instapot. Never ever try or force to open the lid if the depressurization is not done as it can be very dangerous to yourself.